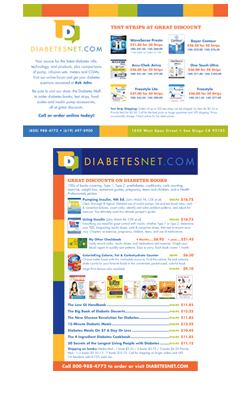 Diabetes Mall can provide Diabetes Educators with some of our specially made product cards. Either download and print the card yourself or contact us for larger quantities at no charge. Having the right pump accessory can help make carrying your pump much easier. We carry a variety of products for every situation. You can view the various accessories below and choose the color for your specific pump. Click the links below and visit our store to buy pump accessories online today. Pumping Insulin gives a complete guide for achieving excellent glucoses on a smart insulin pump and CGM. Pump users and health professionals will benefit from comprehensive, and easy-to-use information on bolus calculators, settings, infusion sets, and data. Get the most out of your pump!